Did Shyamalan Derail This Train? The first reactions to M. Night Shyamalan’s Glass are in. It’s been nearly two decades since Unbreakable first hit theaters and presented us with one of the most unconventional looks at superheroes and comic book mythology ever on the big screen. 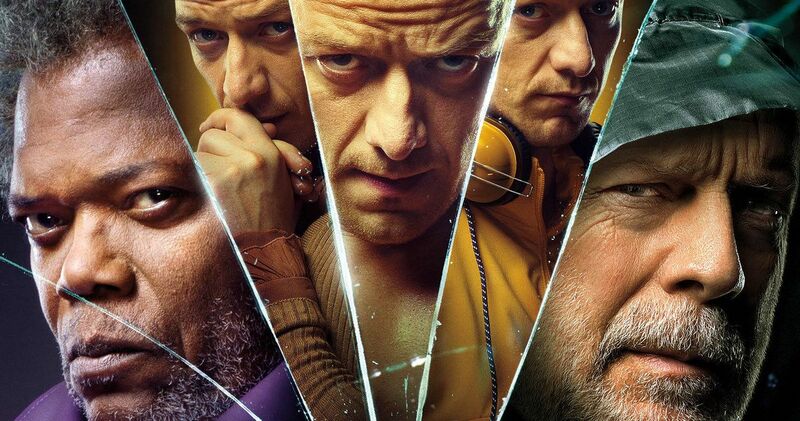 Thanks to Split, which wound up being a surprise sequel of sorts to Unbreakable, there has been an appetite to see these worlds collide and that’s finally happening with Glass. Unfortunately, it’s just not what many of us were hoping for, if the critics are to be believed. As of this writing, Glass holds a 38 percent approval rating on Rotten Tomatoes, with 26 reviews counted. That number, in terms of reviews, is going to increase exponentially in the coming days, but that’s enough to give us a general idea of how critics are feeling about the finale to this long-in-the-works trilogy. Sadly, that’s not a great start and ranks near The Village in terms of his filmography. This his how Rotten Tomatoes has boiled down the critical consensus thus far. Samuel L. Jackson and Bruce Will both return as Elijah Price, aka Mr. Glass and David Dunn respectively, to meet up with James McAvoy’s Kevin Wendell Crumb, aka the Beast. Given the extremely positive reaction to Split, which grossed nearly $300 million worldwide and effectively pulled M. Night Shyamalan out of director’s jail, hopes were high for Glass. However, as Mashable says in their review, it doesn’t get there, to say the least. While not every critic has been so harsh, the vast majority of reactions seem to lean toward disappointing. It is very difficult for a movie like this to live up to expectations, no doubt, but it sounds like this one really missed the mark for many critics. Even the “positive” review strain to find high praise. Empire Magazine had this to say in their review. In any case, Glass looks to have a solid opening weekend when it hits theaters on January 18. Though, these negative reviews, if they keep up, could dampen things just a bit. We’ve also collected some reactions from Twitter for you to check out below. And rest assured, there are a few positive thoughts in the bunch. It’s not all bad. Those who feel the need to dig deeper into the reviews can head on over to Rotten Tomatoes. #Glass fluctuates between fun twists, interesting ideas, & slick cinematography, to a horribly dull low budget hospital drama, and an ending that is a complete mess. I loved Unbreakable, I’m a M Night defender, but I’m not sure the few great moments are enough to recommend. GLASS will be divisive, but I loved it. It’s not a masterpiece like UNBREAKABLE but it’s much better than the gimmicky SPLIT. This is a film about representation. About the NEED to be seen. It’s abt identity. Are we what we are, or what we BELIEVE we are? See it for McAvoy alone.